Alison Lester is amazing. Her classic picture book The Magic Beach is my favourite kid's book EVER and so I always get a bit excited when she produces a new offering. 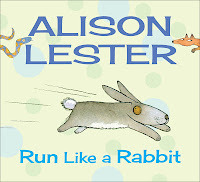 Run Like a Rabbit is a first board book. It is for very little people to read, play with and chew as they see fit. The pictures are very cute and quite plain. They illustrate exactly what the text says without lots of background illustration to distract little eyes (eg. 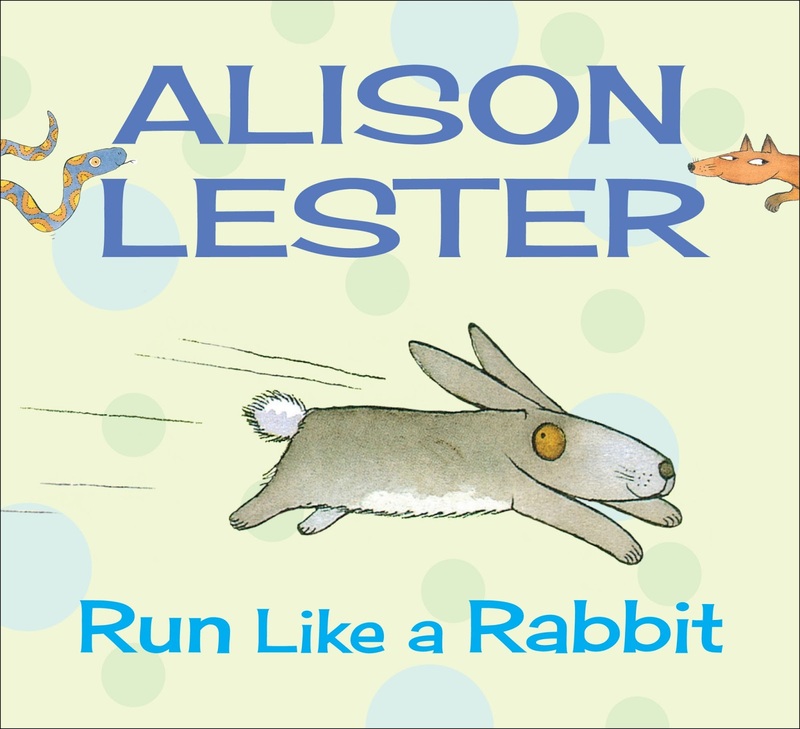 the run like a rabbit page has a picture of a rabbit running and that's all). The text is full of rhymes and is great for reading out loud. Each page describes an animal and an action, such as wriggle like an octopus, so as the babies get a little older you can encourage them to try out the actions themselves. Who'll love it: This one is for ages 6 months to about 2 years.